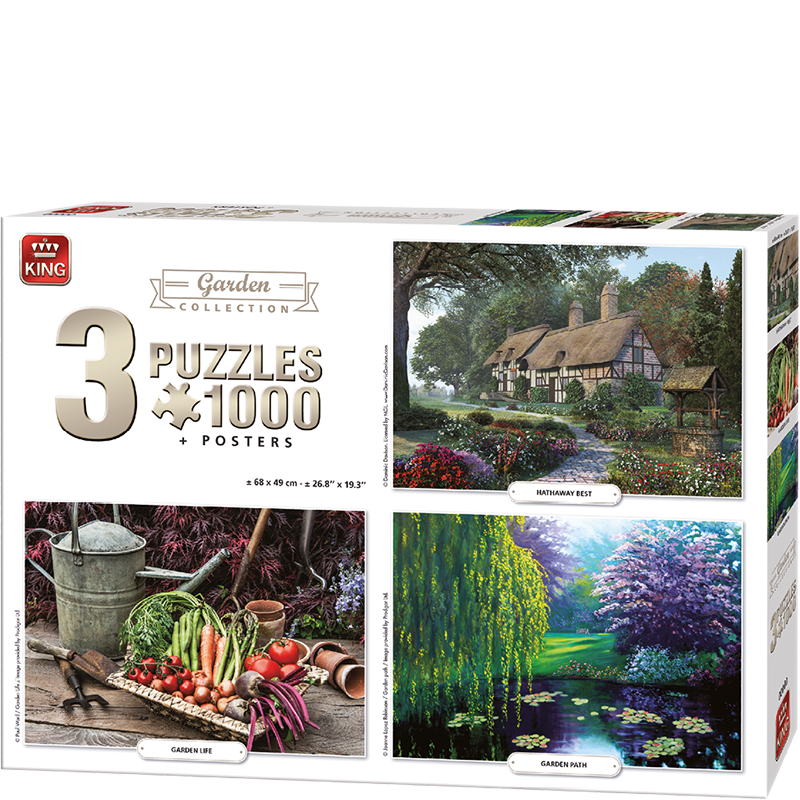 A puzzlebox filled with three different puzzles of each a 1000 pieces. The theme of this box is garden and the parc. You will find an image of a beautiful garden, a cottage and a image of garden materials and vegetables. Of each puzzle you will find a poster in the box to help make the puzzle.